Health Perks: Wow – they’re loaded with fiber. Artichokes are also an excellent source of vitamin C, and a good source of magnesium and folate (which helps with the production and maintenance of cell function). Artichokes are actually a super food. According to the Antioxidant Food Database created by the Institute of Basic Medical Sciences, University of Oslo in Norway, they are among the highest of all #vegetables in antioxidants. To boost their antioxidant capacity even further, cook your artichokes, although eating a raw one would be virtually impossible. According to research published in the Journal of Agriculture and Food Chemistry, “The antioxidant capacity of artichokes, measured by three different assays, enormously increased after cooking, particularly after steaming (up to 15-fold) and boiling (up to 8-fold).” Additionally, artichokes are packed with vitamin K. The majority of the population fails to get enough K, which is required to make at least three proteins essential for bone formation. Studies have also linked diets adequate in vitamin K with a reduced risk of hip fracture in the elderly. Storage: “Artichokes remain fairly constant in appearance for weeks, but flavor is adversely affected from the moment they are cut from the stalk. For maximum taste and tenderness, cook as soon as possible. Do not stock up on artichokes. Refrigerate unwashed, in a plastic bag, for up to one week,” says the Produce for Better Health Foundation’s Fruits & Veggies ­ More Matters. #Healthy Recipe by Editors at EatingWell magazine and The Eating Well Test Kitchen (Eatingwell.com). To prepare stuffing: Combine bread crumbs, feta, tomatoes, basil, garlic, salt, pepper and oil in a medium bowl. Health Perks: Pineapples are loaded with manganese, which is a trace mineral that helps to catalyze enzymes required for various bodily functions. They are also high in vitamin C. Vitamin C is an antioxidant that counteracts damage to cells from smoking and pollution and helps protect against cancer. It helps the body absorb iron, strengthens blood vessels and maintains healthy gums. Vitamin C is required for synthesizing important body compounds and chemicals such as collagen (a structural component of blood vessels, tendons, ligaments and bone), norepinephrine (a brain chemical) and carnitine (assists in transporting fat). In addition, pineapples are a good source of much-needed potassium and contain fiber, thiamin and vitamin B6. 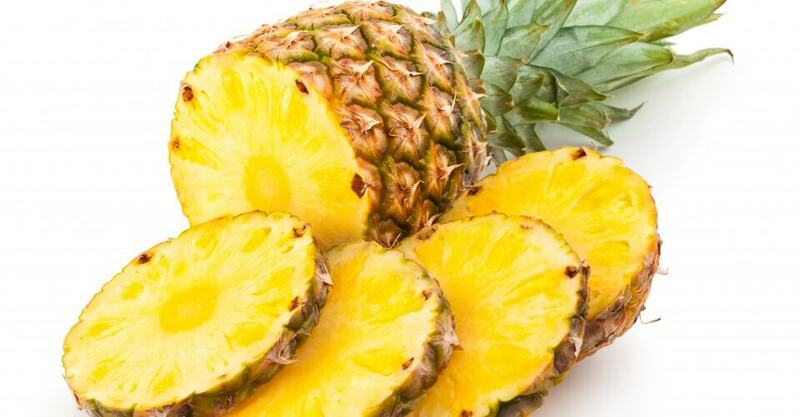 Pineapples also contain bromelain, an enzyme that aids in the digestion of protein. 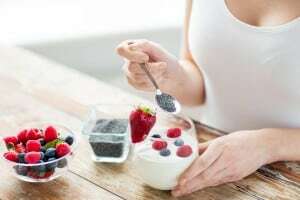 Bromelain is also said to reduce inflammation, which is helpful for arthritis and joint pain, although there have not been any specific studies demonstrating this. Select: According to the Produce for Better Health Foundation’s Fruits & Veggies ­ More Matters ( www.fruitsandveggiesmorematters.org), you should choose pineapples that have dark green leaves and are heavy for their size. Avoid those with soft or dark spots and dry-looking leaves. Store: Try to eat your pineapple as soon as you can. However, you can refrigerate cut pineapple for a few days. According to Dole Pineapples (www.Dole.com), they are picked when ripe and don’t ripen any more after harvesting. Healthy Recipe by Editors at EatingWell magazine and The Eating Well Test Kitchen (Eatingwell.com). Bring pineapple juice to a boil in a small saucepan over medium-high heat; cook until reduced to 1/3 cup, about 8 minutes. Remove from the heat and whisk in lime zest and juice, oil, garlic, thyme, oregano, cinnamon and allspice. Let cool to room temperature. Whisk together jerk sauce and 1/4 cup of the pineapple-juice marinade in a shallow dish just large enough to hold the shrimp. Add shrimp and turn to coat. Cover with plastic wrap and refrigerate for 30 minutes. Toss rice and black beans in a large bowl with the remaining marinade. Season with salt and pepper and set aside. Preheat grill. Remove the shrimp from the marinade. (Discard the marinade.) Thread 4 long or 8 short skewers with the shrimp, pineapple and scallions. Grill, turning once or twice, until the shrimp are cooked through, 6 to 10 minutes. Arrange a bed of lettuce on a large platter. Spoon the rice-and-bean salad on top. Slide the shrimp, pineapple and scallions from the skewers onto the rice; garnish with lime slices. Note: Prepared jerk sauce is a hot and spicy sauce used to marinate meat before grilling or roasting. It can be found in the gourmet section or with barbecue sauces in most supermarkets.